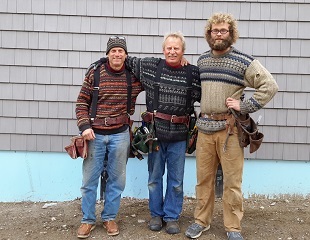 Maine builder Fritz Gensheimer has been building custom waterfront homes from Milbridge to Machias and throughout Down East Maine for over thirty-six years, and along the way acquired many new friends. He believes that a quality home is not measured by what is visually apparent, but more importantly by what is seen by the craftsman during construction. Beginning with the foundation and through every phase of the process, the eyes, skill and heart of the house wright define the true beauty of a home. One customer recently commented that, “Fritz builds a Mercedes Benz”. All it takes is a phone call to a previous customer or the local lumber yard to confirm what you will learn the minute you meet Fritz, he has passion for his craft and is devoted to his customers. Green building and energy efficiency are top priorities for Fritz and he is experienced with insulated concrete form (ICF) construction. 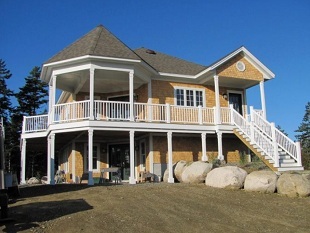 He has used Logix ICF's for his own house and is very excited to show people this technology and its benefits. Homes built with Logix ICF’s deliver up to 60% lower air infiltration than a traditionally built walls and improved thermal performance. 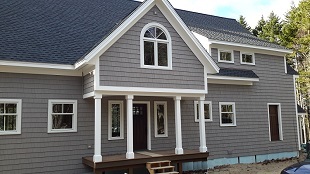 From traditional Coastal Maine Cottages, to the most innovative Green Home Designs, ICF’s offer design flexibility along with energy efficiency. A Fritz Gensheimer crafted home is designed to last for generations. Quality craftsmanship is not a slogan here, it is almost a religion and everyone from the foundation contractor to the cleanup crew are followers. 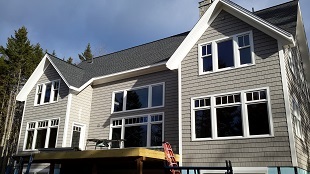 Fritz is a hands on builder and will attend to every detail of your home, to insure that specifications and standards are followed and delivered in a timely and efficient manner.